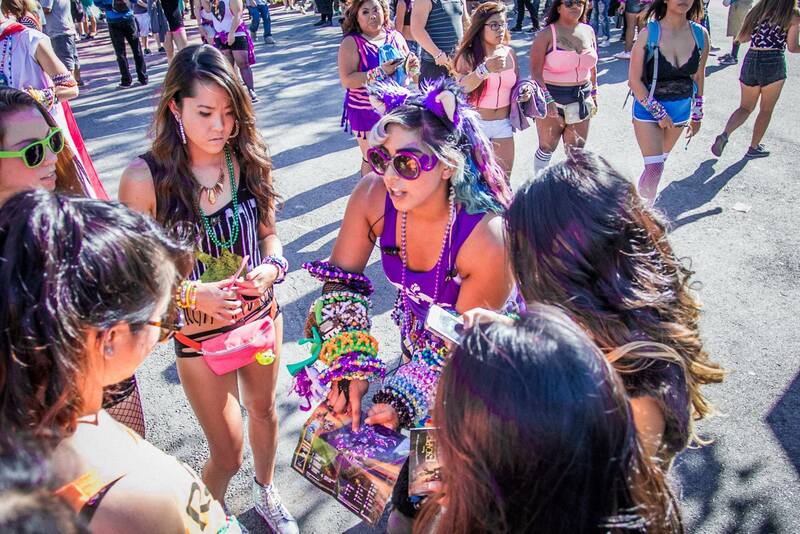 If you’ve ever been to an Insomniac event, then you’ve probably had a run-in with Ground Control , the collective that meanders through the crowds, clad in bright purple tanks and arms full of kandi. 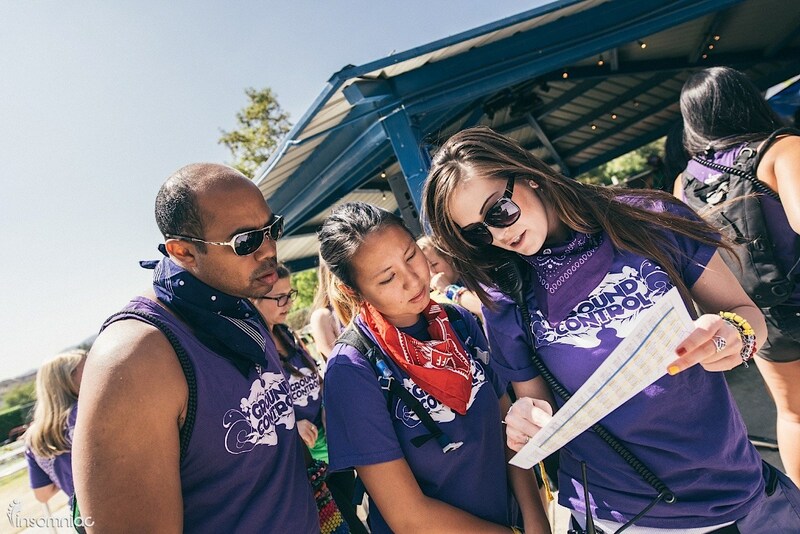 They've probably given you a festival map, a bottle of water while wandering Electric Daisy Carnival's Dandelion Forest, or even a high five as you passed them while heading to kineticFIELD. Always with a smile and the warmth of old friends, Ground Control has everyone’s safety in mind, and that is how they keep festival patrons happy, healthy, and hydrated. Ground Control is more than your typical festival guest services team. They understand festivals inside and out because they are part of the electronic dance music community. 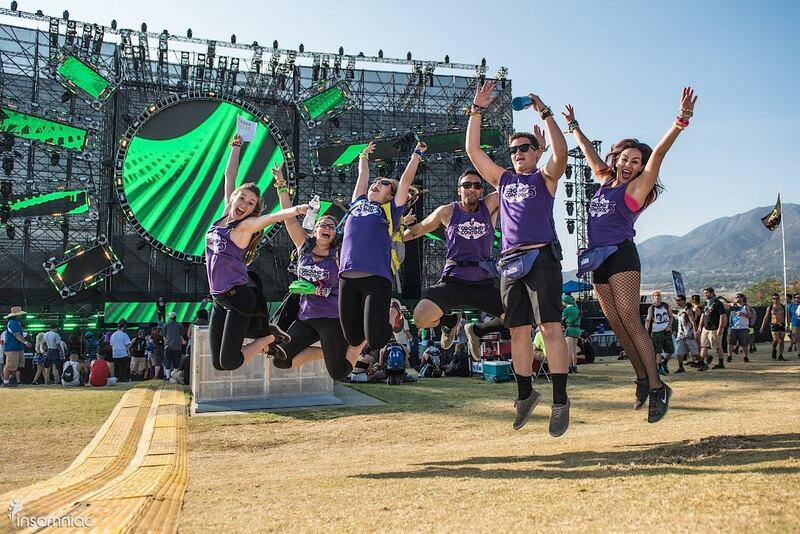 They’re fellow ravers, friends and family who devote their time to ensure anyone who needs medical attention, or help getting to a stage, receives it swiftly. “Whether it’s helping someone find the Mayan Art car or escorting them to a medical tent, everything we do helps headliners have a better festival experience,” Ground Control member Lexi Drexler mentions in a Ground Control newsletter. Their positive energy radiates throughout the festival, leaving us with pleasurable feelings that makes us think about our next Insomniac event. Through her connections and a chance of luck, the Cal State Long Beach graduate was able to blend the aspects of the culture she loved with her propensity to help others with the idea to create a group that united like-minded individuals who wanted to lend helping hands or hugs to everyone they encountered at festivals. “I was fortunate enough to grow up with mentors, one of them being someone who had connections with Insomniac, and I was able to pitch to Pasquale [Rotella, CEO and founder of Insomniac Events]. I was 19 at the time and was flattered that he understood what we wanted to accomplish.” Ground Control was officially alive. Should pre-event activities run smoothly, everything thereafter is usually smooth sailing – though, as we all know, anything can happen at a live event. During the event, teams are dispersed throughout the venue for assigned tasks each hour. You'll see them pouring water at the free water refill stations, checking port-a-potties to make sure attendees aren’t passed out unnoticed, or staffing Ground Control Oasis where you can lounge in hammocks and escape the heat. They’re stationed at first aid tents, ADA check-in locations, and VIP areas; they're in such abundance that finding a Ground Control team member never feels like a game of "Where's Waldo." Another savvy skill Ground Control members are taught is to recognize signs of emotional or physical distress during festivals. If a festival-goer is having a bad psychedelic trip, or accidentally rolls his or her ankle, Ground Control reacts responsibly and professionally, “as soon as perfect, not as soon as possible,” which is Ground Control’s mantra for their expeditious communication in urgent situations. 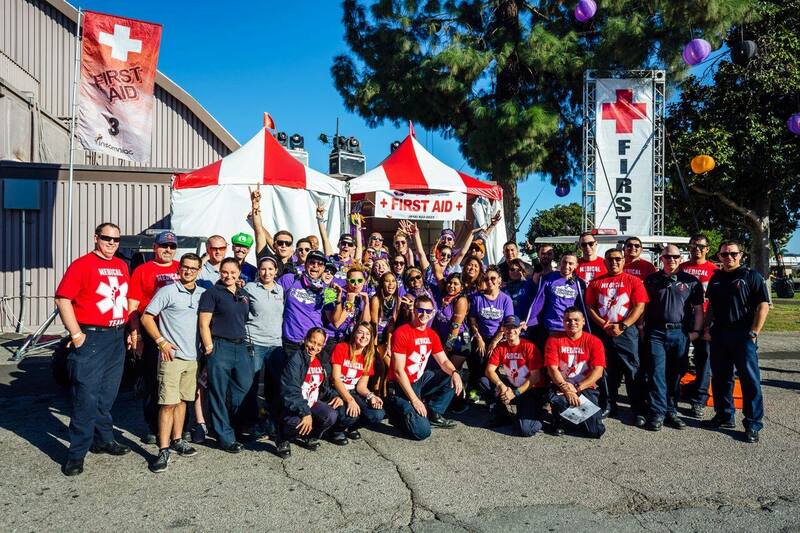 Currently there is a ground swell of support for harm reduction and safety, with organizations like DanceSafe advocating for drug testing kits and education at festivals. While Insomniac does not offer these types of services, Ground Control do exhibit the skills necessary for harm reduction. You won’t be detained or arrested if you head to the medical tent because you’re having a bad trip. You won’t get in trouble for bringing someone overdosing to the medical tent. It is a challenge to help people in need because of these misconceptions, but with Ground Control’s friendly and trustworthy demeanor, any festival-goer ends up feeling safe in their care. That’s how Ground Control keeps people happy and healthy. 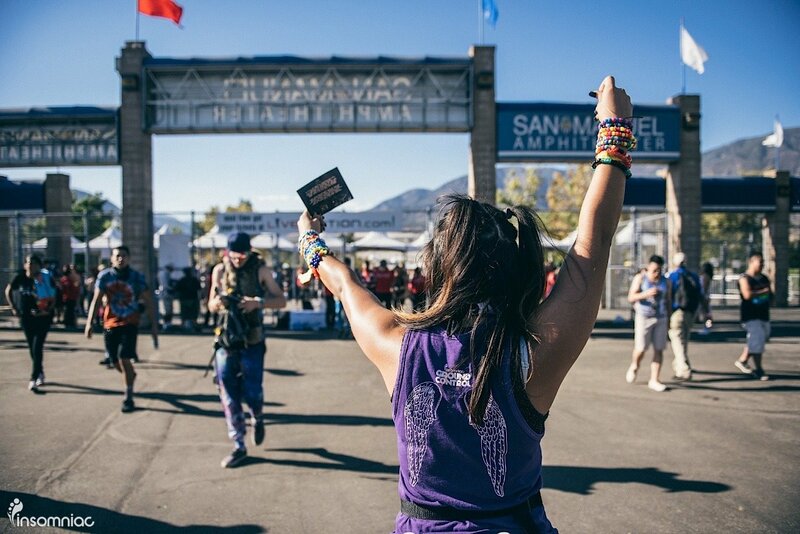 As Insomniac continues to produce more festivals beyond its West Coast home base, Ground Control continues to spread its ethos and culture to newer communities. “It’s a wonderful feeling to work with the Insomniac family. I travel, save lives, and make friends all over the world,” says Mike of Guest Services. 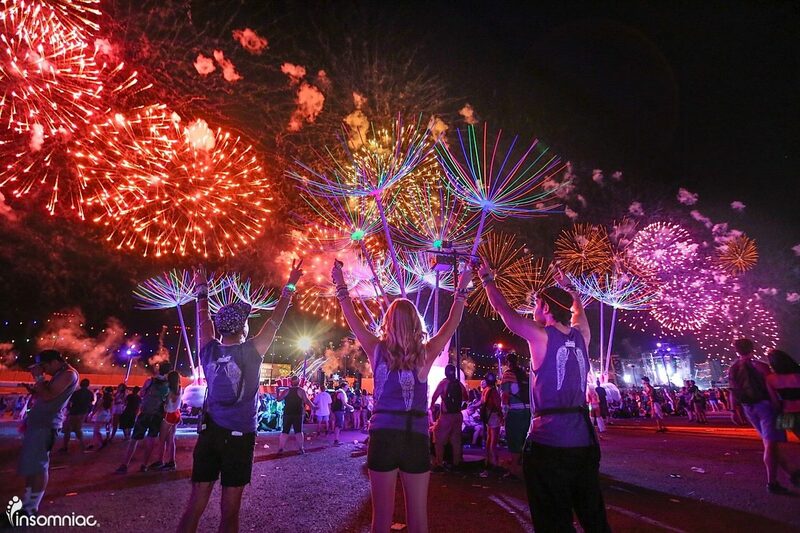 EDC has been Insomniac’s flagship brand since 1997, expanding sister festivals to several other countries including Mexico, the United Kingdom, Brazil, and Japan. Smaller events like Crush, Insomniac’s Valentine’s Day rave, have even branched their way to other U.S. markets such as Dallas and Arizona; at a recent Crush event in Arizona, Ground Control partnered with Relentless Beats. “It was a beautiful meeting of the minds and incredible to interact and work with those teams,” Mike says. If you're interested in joining Ground Control, you can send them an email or like them on Facebook for information on when to apply. This article was originally published in 2016. It has since been updated.